Joining the Guzheng CCA | Important Things to Take Note! So your son/daughter has decided to join the Guzheng CCA in your school. As a concerned parent, there might be a thousand questions running through your mind, especially if your child does not have any prior experience in playing the Guzheng. Joining a CCA is a big commitment, especially so in secondary school. A child spends an average of 4 years in a CCA, be it in the primary school or secondary school. Averaging 4-6 hours a week, the number of hours spent in CCA is actually quite a lot. To help all the anxious parents out there, we have complied a list of frequently asked questions to ease some of your worries. Hopefully, the following information will be able to start off your child on the right footing and let them have a pleasant 4 years or even more in his/her Guzheng CCA. 1) What are the necessary equipments that my child needs to play the Guzheng? Besides the Guzheng (which is provided by the school), your child will need a set of Guzheng nails and some plaster tape to fix the nails onto your child’s fingers. Guzheng nails come in different sizes. It is important that your child gets a set of nails that fits him/her. Guzheng nails also come in different materials. The most basic Guzheng nails are made of plastic, which are usually good enough for a beginner. They can upgrade to a set of better quality nails when they get better, which will require them to also have more skill to wield. Besides, children lose their Guzheng nails as often as they lose their stationery. So for a start, plastic nails will do. 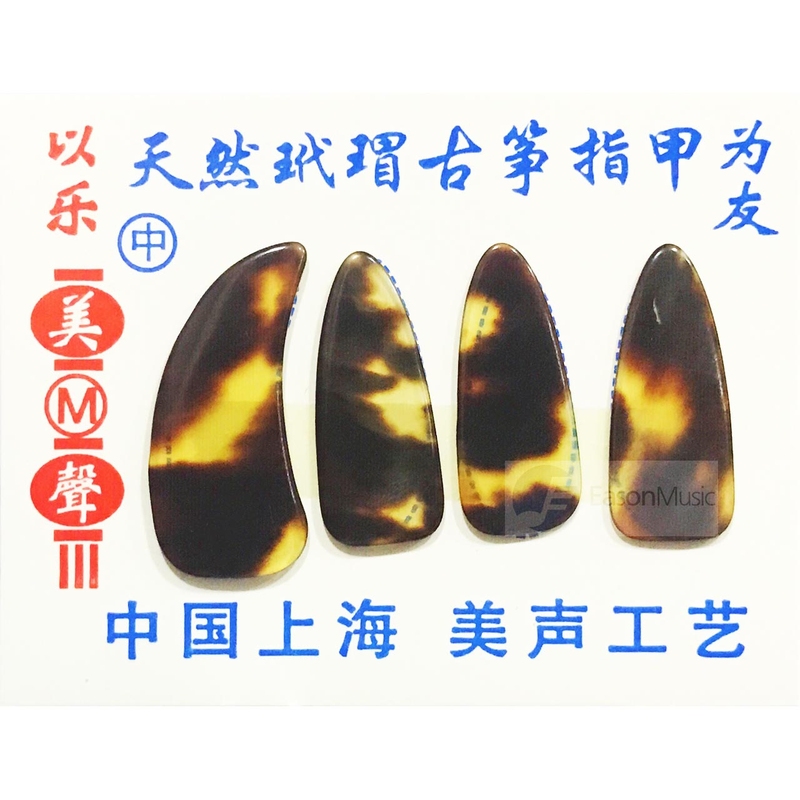 Click here to purchase your Guzheng nails. 2) Do I need to have a Guzheng at home for my child to practice? It is encouraged to have a Guzheng at home to practice on when there’s time. Practicing at home, however little, will allow your child to improve much faster than only touching the instrument during CCA. Without a Guzheng to practice on at home, your child could forget what they have learned previously the next time they attend CCA. 3) Where can I get a Guzheng? You can try browsing online second hand sites such as carousel or visit second hand stores such as cash converters. You might be able to find some good bargains from them.The downside is that they might not be in a playable condition, which means you will not be able to know how they sound like when you are buying it. The strings might even need to be totally changed. Refurnishing it might set you back by another $100-$200. You also need to keep a look out for missing bridges or cracks too. Getting a poor quality Guzheng that makes ‘piak piak’ sounds will be quite demoralising for your child. You can loan a Guzheng from Eason Music if you are not sure whether your child is really interested in the Guzheng. However, it is recommended that you only rent it for the initial 1-2 months after your child joins the Guzheng CCA. Reason being that the cost adds up over time and it would be more worth it to just buy one instead if your child shows a passion for Guzheng. You can buy a Guzheng from Eason Music as well. Before you make the decision to buy a Guzheng, do make sure that you also have a space of 170cm x 40cm at home to permanently place the Guzheng in its playing position. All our second hand Guzhengs will be restrung and refurbished to ensure that the instrument performs to the best of its ability. Although it might not look as spanking as a new Guzheng, it still sounds really good. A refurbished second hand Guzheng costs only $450 with free home delivery, a bag, a pair of stand, a roll of tape and a set of synthetic nails. Prices of new Guzhengs ranges from $650 to $3800. Before we address that, allow me to explain the difference between a lower end and a higher end Guzheng. The main difference lies in the wood used to make the Guzheng, which translates to a difference in tone produced by the instrument. So if you buy a higher end Guzheng, you can expect it to be made of better quality wood and hence producing a better tone. What exactly is a better tone? Well, think of the Guzheng’s tone as a person’s voice. Some people’s voice are very clear and you can make out every single word they speak, while other’s can sound muffled and you have trouble catching what they are saying. Try to imagine a low end and a high end Guzheng as 2 singers, one who just started learning and one with decades of training. The less experienced singer will sound rather thin and raspy while a seasoned singer will have a rich and powerful voice that can travel across the concert hall. What kind of Guzheng you buy more often than not, depends on two factors, interest and budget. It can be rather hard to tell if your child has an interest in Guzheng just 1-2 CCA sessions in to joining the Guzheng CCA in primary school. If your child is in secondary school, it might be easier to ascertain his/her interest. If your child has an interest in the instrument or you are sure that he/she will grow into it, it is worth investing in a Guzheng that is of a low to medium grade. As your child’s techniques and skills progresses, it’s vital to also have a Guzheng that can keep up with his/her ever increasing prowess. If your child’s interest is ambiguous, perhaps you can choose to get the lower end Guzhengs. It will be easier to sell it off when your child’s interest in Guzheng dies off. People are more likely to buy a second hand starter grade Guzheng rather than a second hand professional grade Guzheng. Once you are sure of your child’s level of interest, you can then decide the grade of Guzheng to buy according to your budget and means. If the level of interest is low or likely to be low, our recommendation is the cheaper Shanghai Dunhuang Yun brand Guzhengs available in our store or one of our Eason second hand Guzhengs. If the level of interest is medium but budget is limited, you can choose between our Eason second hand Guzhengs and medium grade Shanghai Dunhuang Yun brand Guzhengs. If the level of interest is medium to high and budget is not a problem, we have a wide selection of medium to high grade Shanghai Dunhuang Yun brand Guzhengs for you to choose from. 4) Do I need extra lessons outside of school? Well, it depends on how far your child will like to go with the Guzheng. Under normal circumstances, a new student requires 1-2 years of practice to strengthen on their basics and have a solid foundation before progressing. However, there is no such luxury of time for Guzheng CCAs. They have to start drilling students on SYF pieces almost immediately after they have entered, which leaves little time to properly learn the various Guzheng performing techniques. Also, the lessons are conducted in big groups and there is little chance for the instructor to correct the postures and mistakes of students. Hence, if you want your child to play the Guzheng well, you will most definitely require private lessons. If your child is able to be one of the better players in the Guzheng CCA, it will also boost their self-esteem and improve their self confidence which can also influence other aspects of their life. Having attained an above average level of skill will also give them a higher chance of success if they apply to secondary schools or JC through DSA. But having said that, Guzheng CCA is not only about playing the Guzheng well individually. It is also about working as a group, forging friendships along the way and learning how to bond with peers. Hence, you can still have a fulfilling and enriching CCA life without taking private lessons. * Huh? My child is in Guzheng CCA? If you have decided that you want your child to take private Guzheng lessons, we do provide one to one lessons at our studios. Please feel free to email us at [email protected] or text us at 97543879. CCA is a very important part of school life for every student. Parental support and guidance is very important for them to have a smooth sailing CCA because they might not know any better. Hence it is important that you are aware of the various avenues that can make their journey a better one.